Januvia is a brand name for an oral anti-hyperglycemic drug that lowers blood sugar or glucose levels. This prescription medication contains the active ingredient sitagliptin and belongs to a class of drugs called dipeptidyl peptidase-4 inhibitors. Januvia is taken once a day and works to regulate blood sugar levels in type 2 diabetics in two ways. Januvia.com notes that it helps increase the levels of insulin produced by the pancreas. Insulin is a hormone that is necessary to carry glucose from the blood into the cells of the body, where it can be used. Januvia also decreases blood glucose levels by decreasing the amount of glucose made by the liver. Like all medications, Januvia can cause side effects and may not be suitable for all patients. There are several alternative medications for treating type 2 diabetes. Metformin is commonly sold under the brand name Glucophage and is in the biguanide class of drugs. It is the most popularly prescribed medication and often the first line of treatment for patients with type 2 diabetes. 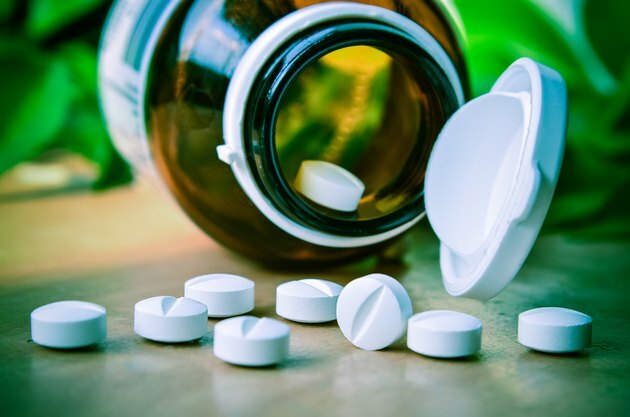 Drugs.com notes that metformin works by reducing blood glucose levels as well as by heightening the sensitivity of body cells to the hormone insulin. Metformin is sometimes prescribed in combination with other diabetes medications or insulin. In individuals with pre-diabetes or a risk of becoming diabetic, metformin is often prescribed as a preventative measure, along with nutritional and exercise therapies. Glyburide is a medication in a class of diabetes drugs called sulfonylureas. These drugs bind to receptors on the beta cells of the pancreas to stimulate more production of insulin. DiabetesNet.com notes that sulfonylurea medications have been used for the treatment of diabetes for many years and are often prescribed with metformin to control high blood sugar levels. Other sulfonylurea medications include Glucatrol and Glipizide. Actos is the brand name of a drug called pioglitazone in a family of diabetic medications called thiazolidinedione. This oral diabetic medication works to decrease blood glucose levels by increasing levels of insulin in the body. The National Diabetes Information Clearing House notes that it also increases insulin sensitivity in the liver, muscles and adipose tissue.